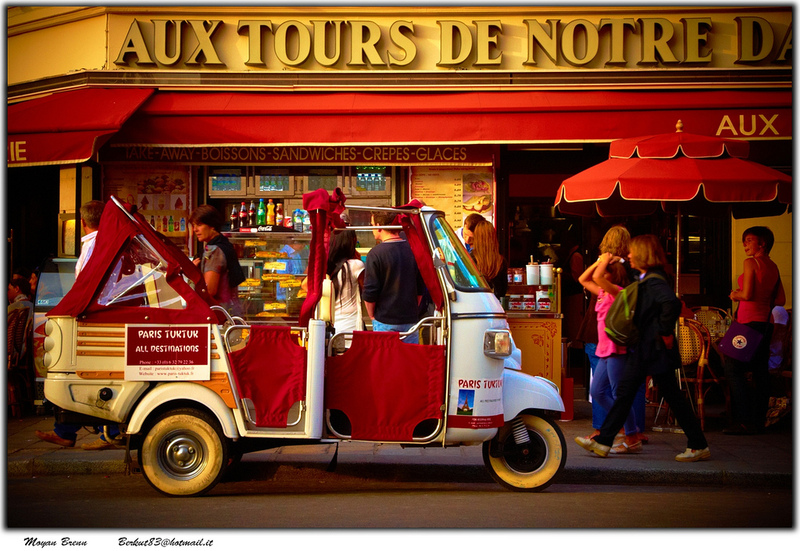 During this bike and boat tour in France, you will pedal through the beautiful Marne River valley and the world famous Champagne region, either beginning in Paris, the city of light, or ending there depending on your tour date. 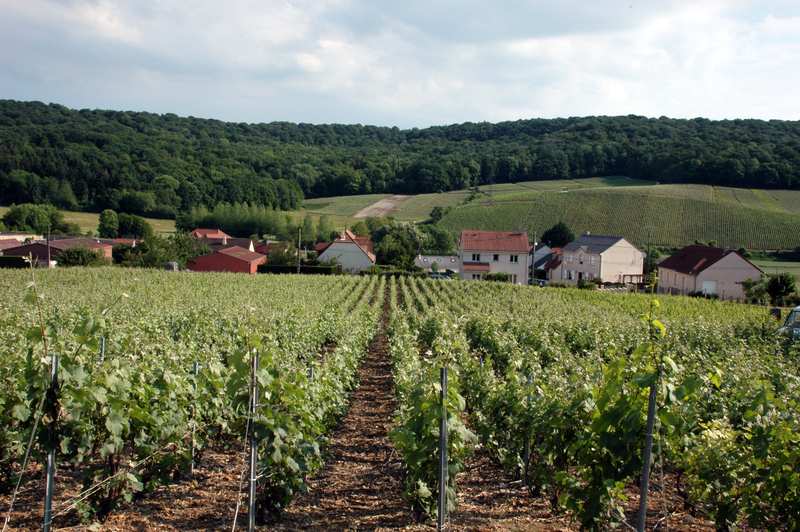 In 2015, UNESCO granted the Champagne area world heritage status! The vineyards, wine cellars, and sale houses where the grapes are grown, stored, and produced are all culturally significant. In fact, there are many sparkling wines but only the wine produced in this region of France with its chalky soil and perfect climatic conditions can be called Champagne. You will have the opportunity to cycle to boutique wineries, sample a variety of champagnes, taste delicious Brie cheese and generally discover everything that the Champagne UNESCO world heritage region has to offer. 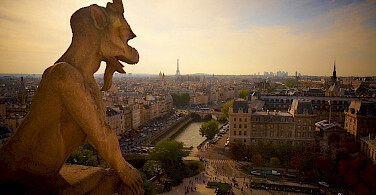 And if the Champagne region was not enough, you will also have the opportunity to explore Paris, one of Europe’s most beautiful and beloved cities. Watch a preview of the tour! Looking for more? 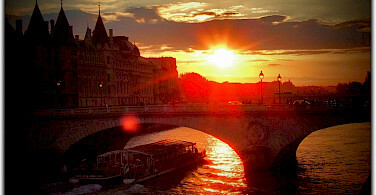 Be sure to view all of our bike and barge tours in France. Only available for charter at this time. Please ask us for pricing for your group! If you would like information on arrival and departure transfers, please ask. Local travel will depend on the boat you are booked on. For tour starts in Paris: The Zwaantje will be docked at the Quai de Bercy, along the Seine River near the bridge Pont de Bercy. Station Gare de Lyon is not far from the docking location. 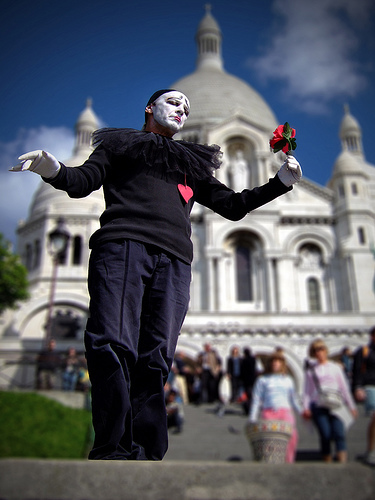 To get to Gare Du Lyon from the airport you can take either an airport shuttle, the RER train, Line B, or a taxi. From CDG, you can take a train to Epernay. Transfers and travel time depend on departure time and type of train. The boat is moored approx. 1 km from the train station. From CDG, you can take a train to Epernay. You will have to change trains in Reims (TGV station Champagne/Ardennes). Travel time is approx. 2.5 hours. The train station is located about 1.5 km away from the embarkation point so it is recommended to take a taxi. All final docking locations will be provided to you approximately one month before your tour date. 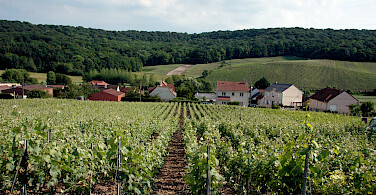 The climate of the Champagne region is mild and consistent, especially considering its northern location, and contributes as much as the grapes themselves to the production of champagne. This region has extended sunny days in the summer and early fall because of its northern location. 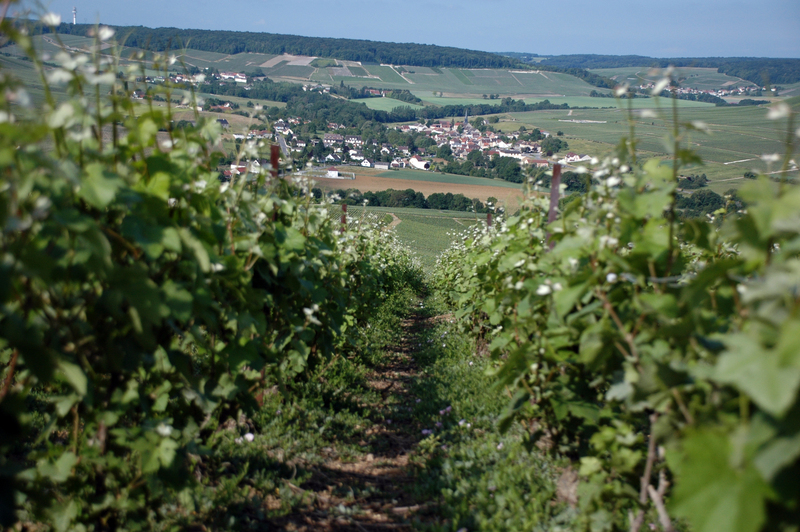 Estimates indicate the the Champagne region experiences 500 hours of sunshine per year. Be sure you check local conditions before your arrival. A good website to visit to explore regional weather conditions including average high/low temperatures, average rainfall, and more is weatherbase.com. In France, it is not mandatory for adults to wear a helmet, however, we strongly recommend that you do so. Helmets are included on the Zwaantje and the Clair de Lune and available for rental on the Elodie. Another option is to bring your own helmet for proper fit and safety. French law now mandates that children under the age of 12 must wear a helmet. Children helmets are NOT available on board the Zwaantje and Elodie. Please ask before you book if your child can be accommodated with a helmet on the Clair de Lune. You will be part of an international group of travelers. Crew and tour guides do speak English. The Elodie cannot accommodate Vegan meals. *Only available for charters at this time. This is a moderate level tour that is at times challenging with hilly terrain and varied country roads. It is for experienced bikers in good physical condition. 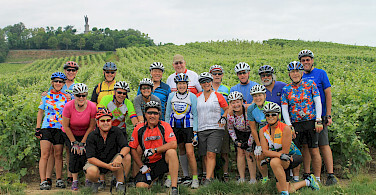 The tour is fully guided and every day you will cycle along small country roads (short distances on dirt or semi-paved roads and tracks) that go up and down the hills adjacent to the river valley and through Champagne vineyards. Cycling distances vary from 30–50 km (19–31 miles) per day. You can also cycle self-guided for short stretches if you prefer. On the comfort plus boats, the Zwaantje or the Elodie, or the standard plus boat, the Clair de Lune. 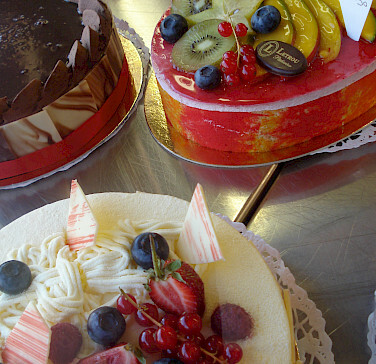 All meals, breakfast, picnic lunch during cycling itinerary. In 2020, 1 dinner will be excluded. Electric bike. Available with supplement. See pricing. Each boat has a different itinerary, as well as what is included and not included. Please take a look at each boat, description, pricing, etc. *All distances are “approximate distances” of recommended bike tours. If you do not feel like cycling one or more days, you can always relax on board while cruising to the next town. Program and details barring changes, a.o. as a result of nautical, technical or meteorological reasons. If there are 18 or more booked, two tour guides will be riding and on certain days can offer a longer or shorter itinerary. Embarkation and check-in at 2 p.m. at the Quai de Bercy on the Seine river in Paris. After a welcome by the captain, crew and tour leader there is time for a walking tour through Paris. After dinner on board, there is a first briefing about the barge, bicycles and tour program. You leave Paris by bike via the canal de l’Ourcq. A bike path leads from the place the la Bastille (close to the mooring place of the Zwaantje), via the bassin of la Villette to the banks of the l’Ourcq. This canal was built by order of Napoleon Bonaparte. The canal provided the city with water and played an important role in the transportation of goods to and from the city. Destination of today is Lagny, a nice little town along the Marne. In Lagny-sur-Marne, you ride, mainly along the Marne river and its parallel canal. In case you opt for the short ride, the first challenge is the hill near Chalifert. The barge will take the tunnel through the hill, but cyclists can test their fitness and muscles for the first time by climbing and crossing the hill by bicycle. Also on the longer option, the first part is quite hilly because you have to leave the valley of the Marne. Later you will follow the small Canal de l’Ourq that was built by Napoleon to transport wood, grain and fresh water to Paris. Today’s destination is the city of Meaux, famous for its “Brie de Meaux” cheeses and the magnificent Cathedral St.-Etienne. Night in Meaux. There are a few cycling options today. The shorter option will lead you over the hills and slopes of the Marne valley on the south bank of the river through forests and small villages. The longer option stays in the valley of the river in the morning with a ride through Trilport and Lizy-sur Ourcq. Later you will have to climb a few challenging hills, leaving the valley in the direction of Jouarre. In Jouarre, all cyclists can enjoy a very nice presentation and tasting of the famous Brie de Meaux and Brie noir cheeses at the family-run Fromagerie Ganot. Dinner on board and night in La-Ferté-sous-Jouarre or a village nearby. 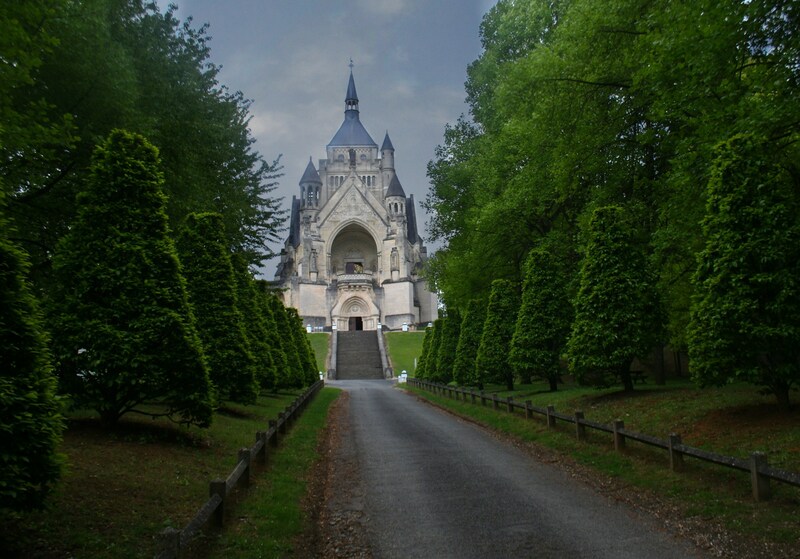 Enjoy a somewhat challenging cycling tour from La-Ferté-sous-Jouarre to Château-Thierry. The first part of the cycling track leads you along the Marne river. After a few miles, you will take a side valley and follow country roads through various small villages and hamlets. Continue riding uphill until you finally reach the plateau above the northern part of the Marne valley. The side valleys are mainly covered with forest, on the plateau agriculture is predominant. Follow the valley of the small river Clignon. En route, you can visit the large WW1 American War Cemetery and Monument near Belleau on the D82. Start your descent to reach Château-Thierry. 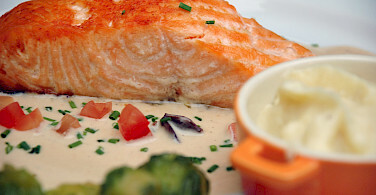 Dinner on board and night in Château-Thierry. Château-Thierry owes its name to the castle that once was situated on the slopes above the Marne. You can still see some remnants. The town was the site of two important battles: the Battle of 1814 in the Napoleonic Wars between France and Prussia and the Battle of 1918 at the end of World War I. Château-Thierry is also known as the native town of the world-famous writer of fables Jean de la Fontaine. 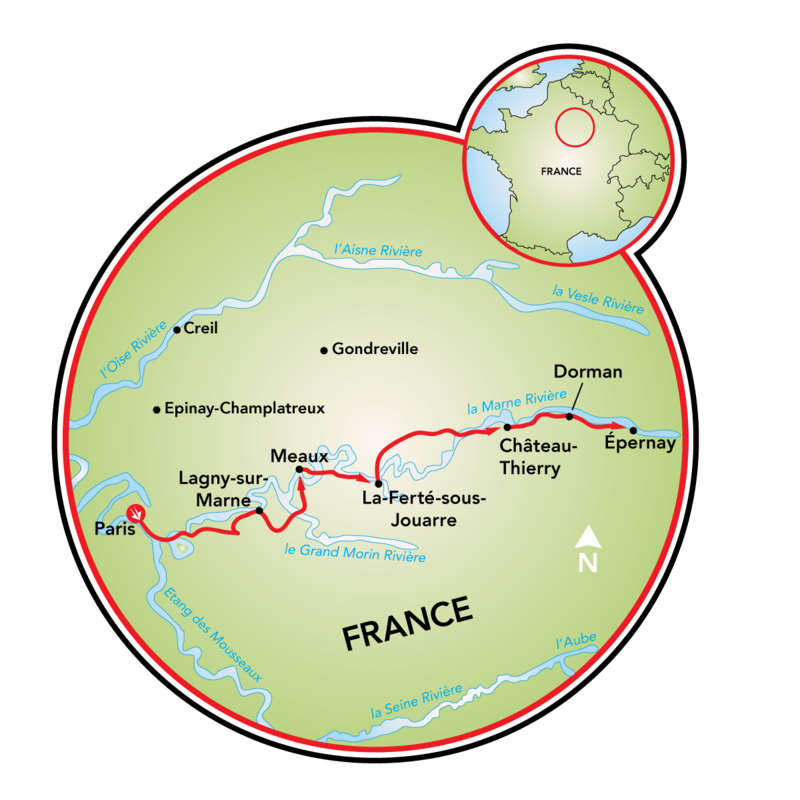 During breakfast, the ship will take us to the lock of Mont St. Pierre or even a bit further upstream to Dormans. Today we will enter the official Champagne area. 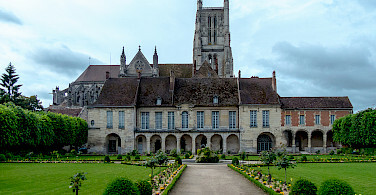 Dormans is a quiet village on the Marne with a castle and chapel in memory of the battle of the Marne. During World War I this area was the scene of intense battles. 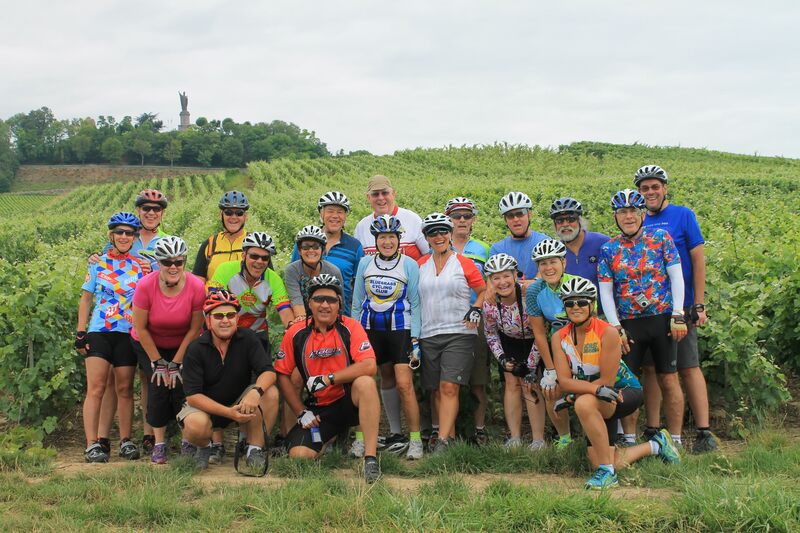 A ride up the northern valley slope to the village of Châtillon-sur Marne rewards the cyclist with a stunning panoramic view over the Marne valley and the Champagne vineyards. 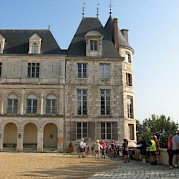 During the cycling tour, you will see the Château de Boursault, a large castle built in 1848 by the widow of Mr. Clicquot, who gave her name (“Veuve Clicquot”) to a famous Champagne wine. Dinner on board and night in Epernay. The last half day’s cycling tour takes you along the quiet canal parallel to the Marne River to Ay and Mareuil-sur-Ay. Return via Dizy to visit Hautvillers. After a somewhat challenging ascent, you will reach this picturesque village of Champagne wine growers on the southern slopes of the Montagne de Reims. A highlight is a visit of the chapel with the tomb of the monk Dom Pérignon (1638-1715). In charge of the wine cellars of a Benedictine abbey, Dom Pérignon pioneered a number of winemaking techniques, being the first to blend grapes in such a way as to improve regional wines into a wine of superb quality. Double fermentation, characteristic for the making of champagne, was introduced also by him. Return cycling to Epernay. 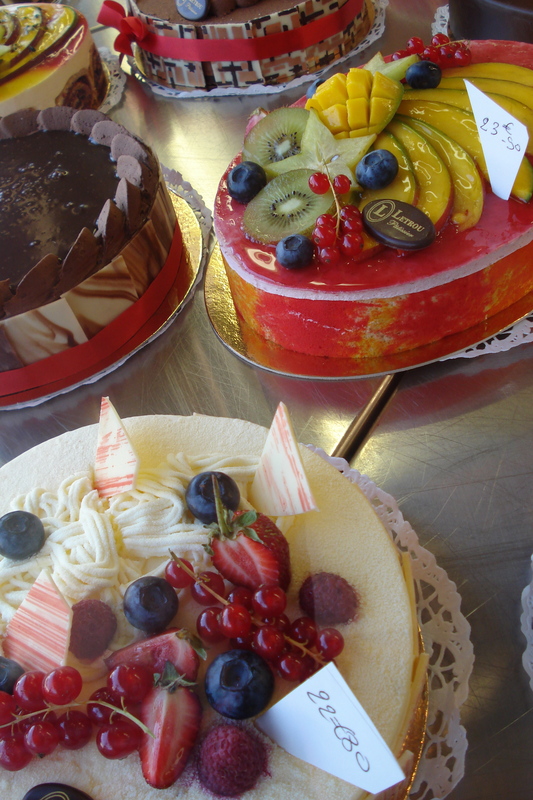 After lunch, visit the center of Epernay. Together with Reims, Epernay is the major wine center of the Champagne region, where three extensive wine regions meet: the Montagne de Reims, the Côte des Blancs and the Vallée de la Marne. Epernay has many townhouses dating in neo-renaissance style or classical style dating from the 19th century, especially around the beautiful Avenue the Champagne where prestigious champagne houses, such as Moët & Chandon and Mercier, are situated. 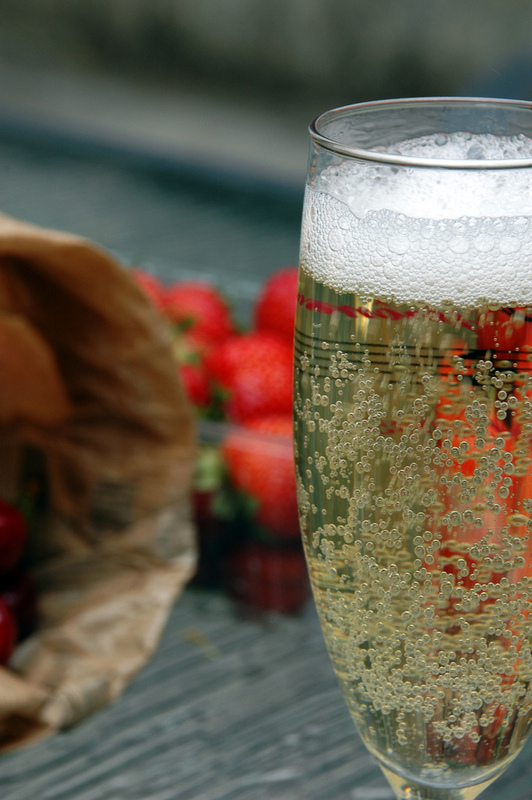 Enjoy a Champagne tasting and take a tour in one of the major Champagne houses. Disembarkation after breakfast by 9:30 AM. *All distances are “approximate distances” of recommended bike tours. If you do not feel like cycling one or more days, you can always relax on board while cruising to the next town. Program and details barring changes, a.o. as a result of nautical, technical or meteorological reasons. 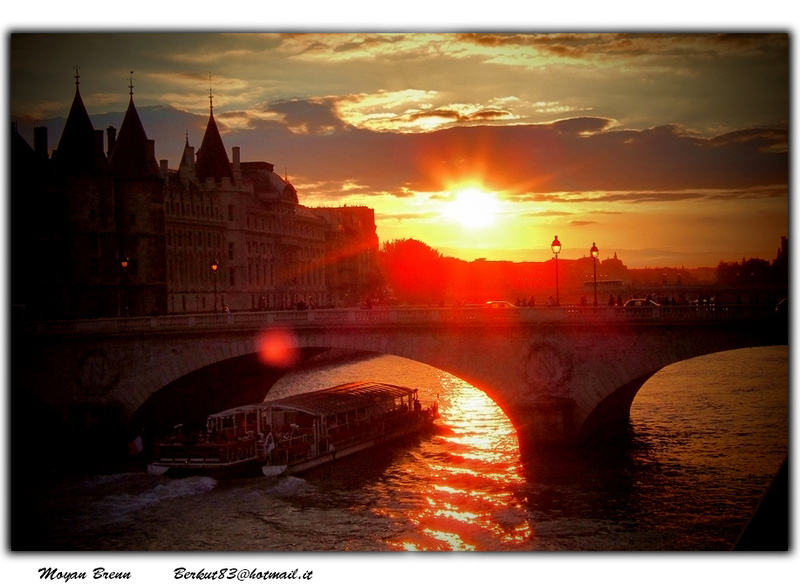 Embarkation and check-in between 12 and 2 pm at the mooring location near the Seine River in the center of Paris. You can bring your luggage on board at 11 am but the cabins will not be ready for check-in. 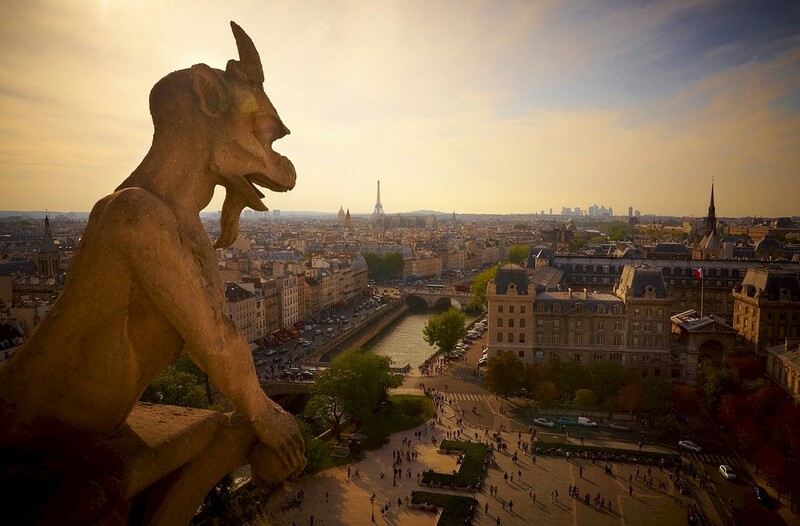 In the evening you will be offered a guided city walk. You leave Paris by bike via the canal de l’Ourcq. A bike path leads via the bassin of la Villette to the banks of the l’Ourcq. This canal was built by order of Napoleon Bonaparte. 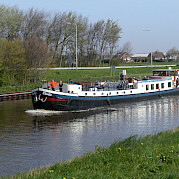 The canal provided the city with water and played an important role in the transportation of goods to and from the city. Destination of today is Lagny, a nice little town along the Marne. 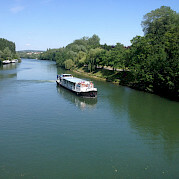 In Lagny-sur-Marne, you ride, mainly along the Marne river and its parallel canal. You will encounter hills as you are now leaving the valley. Later you will follow the small Canal de l’Ourq, a mostly flat route, that was built by Napoleon to transport wood, grain and fresh water to Paris. Today’s destination is the city of Meaux, famous for its “Brie de Meaux” cheeses and the magnificent Cathedral St.-Etienne. Night in Meaux. In the morning you stay in the valley of the river with a ride through Trilport and Lizy-sur-Ourcq. Later you will have to climb a few challenging hills, leaving the valley in the direction of Jouarre. Jouarre, is a center of Brie making and you will be able to find a place where you can enjoy a tasting of the famous Brie de Meaux and Brie noir cheeses. During breakfast, the ship will take us to the lock of Mont St. Pierre or even a bit further upstream to Dormans. Today we will enter the official Champagne area. Dormans is a quiet village on the Marne with a castle and chapel in memory of the battle of the Marne. During World War I this area was the scene of intense battles. A ride up the northern valley slope to the village of Châtillon-sur Marne rewards the cyclist with a stunning panoramic view over the Marne valley and the Champagne vineyards. During the cycling tour you will see the Château de Boursault, a large castle built in 1848 by the widow of Mr. Clicquot, who gave her name (“Veuve Clicquot”) to a famous Champagne wine. 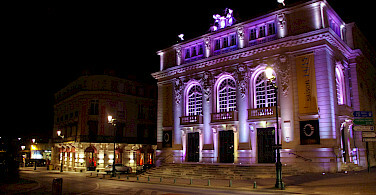 Your destination of today is Epernay, with Reims the major wine center of the Champagne region. Epernay has many townhouses in neo-renaissance style or classical style dating from the 19th century, especially around the beautiful Avenue the Champagne where prestigious champagne houses, such as Moët & Chandon and Mercier, are situated. Dinner on board and night in Epernay. The last half day’s cycling tour takes you along the quiet canal parallel to the Marne river to Ay and Mareuil-sur-Ay. Return via Dizy to visit Hautvillers. After a somewhat challenging ascent you will reach this picturesque village of Champagne wine growers on the southern slopes of the Montagne de Reims. A highlight is a visit of the chapel with the tomb of the monk Dom Pérignon (1638-1715). In charge of the wine cellars of a Benedictine abbey, Dom Pérignon pioneered a number of winemaking techniques, being the first to blend grapes in such a way as to improve regional wines into a wine of superb quality. Double fermentation, characteristic for the making of champagne, was introduced also by him. Return cycling to Epernay. 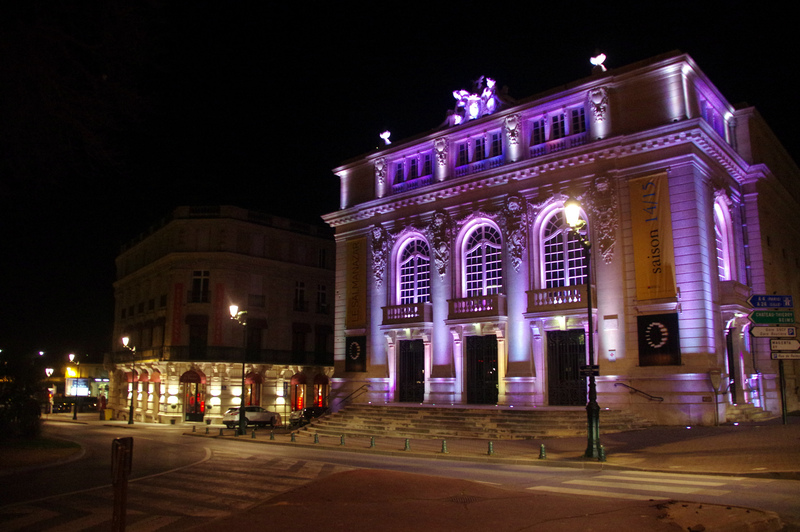 After lunch, visit the center of Epernay. Together with Reims, Epernay is the major wine center of the Champagne region, where three extensive wine regions meet: the Montagne de Reims, the Côte des Blancs, and the Vallée de la Marne. Epernay has many townhouses dating in neo-renaissance style or classical style dating from the 19th century, especially around the beautiful Avenue the Champagne where prestigious champagne houses, such as Moët & Chandon and Mercier, are situated. 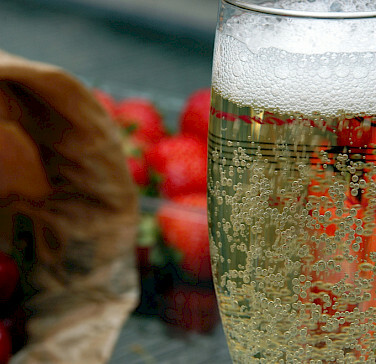 Enjoy a Champagne tasting and take a tour in one of the major Champagne houses. 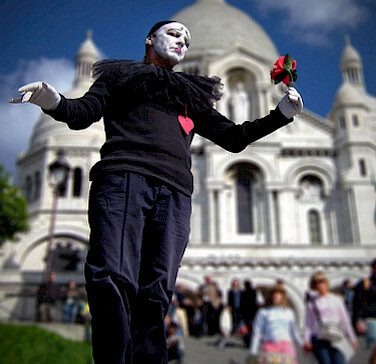 introduction, you will enjoy a short tour along the cycle-paths of Paris. Now you can get comfortable with your bike and make the necessary adjustments. Paris, of course, is a very busy city but you will be surprised that you can experience a nice cycle trip without being bothered by the traffic. beautiful houses and green surroundings. You will overnight at Lagny sur Marne. remains of the bridge over the Dhuys that was bombed during the second world war. On your way, passing Villeneuve-le-comte, the path leads through the beautiful forest of Guette. The city of Meaux has a nice atmosphere and is famous for its cheese and mustard. 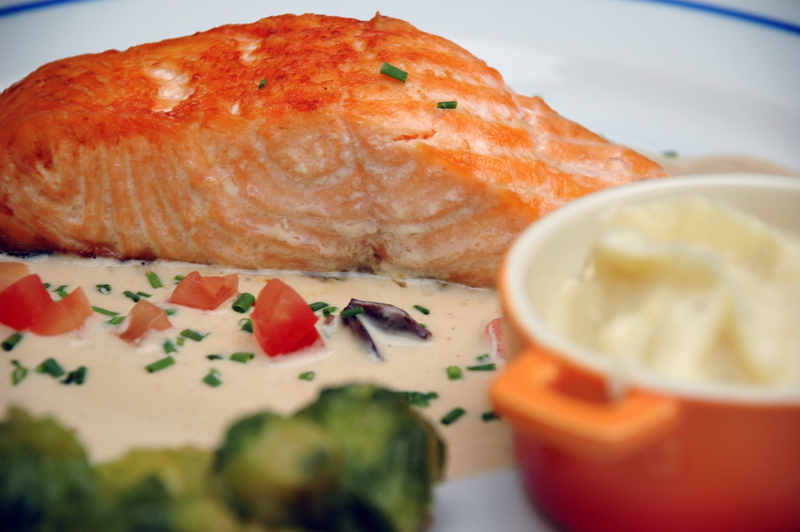 Your chef will give you a taste of the culinary highlights of this region. 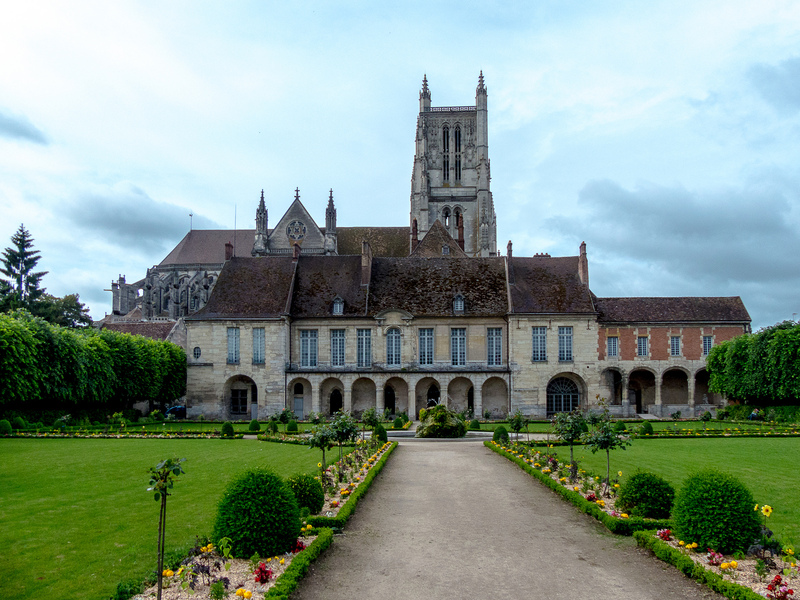 Meaux has a beautiful cathedral and it is worth it to make a nice evening stroll along the river banks of the Marne. Today you visit the ruins of an old Chateaux built by Catherine the Medicis. It is not guaranteed but probably you will be able to have your morning coffee on the estate and get to know more about the history of the Chateaux by the owner. Depending on what is available, you may visit "La Ferme de la Valiere" to taste some of the local products. The story goes that Louis the XVI on his deathbed requested to have a final taste of the Brie the Meaux before he was to close his eyes forever. You will cycle to the locks of isles-les-meldeuses where the Elodie will be waiting for you to take you on a nice two and a half hour boat ride over the river Marne to La Ferte the Jouare for the night. Fontaine, born in 1621, who wrote many famous fables like Le corbeau et le renard ( the raven and the fox). In the evening, you will stroll around the remains of the Castle Thiery, a medieval Castle that was damaged during the French revolution. The Elodie will stay in Chateau Thierry for the day. This will allow you to visit the market in the morning and in the afternoon you can attend the eagle show in the Chateau. Around Chateau Thiery there are many WWI monuments. If you do not care too much for markets, you can join your guide for a bike ride to visit the large WW1 American War Cemetery and Monument near Belleau. On your way back to Chateau Thierry, you will visit Hill 204. This monument is a symbol of the gratitude the French expressed to the Americans for their support in WWI. In the spring of 1918, the Americans troop took part in the "second" battle of the Marne" to stop the German troops from reaching Paris. They succeeded in stopping them and the battle is now considered as one of the turning points in the Great War. Departing from Chateau Thierry, you leave the river Marne into the valley of the Surmelin to the town of Conde en Brie. In this little town, you can visit a duck farm where they make the famous foie grass. Your destination Dorman is a nice small town where you can find the Moulin d’en Haut. This windmill house, located in the park of the castle of Dormans, is also an ecological museum that is dedicated to the daily life of the traditional Champagne region way of life. In the same park, you can visit an interesting WWI memorial designed as a church for remembrance and very much appreciated by the famous French WWI general Foch. In the morning you will visit the snail museum in Try, your first stop. Continuing along the Marne river you come to the village of Hautviller on top of the hill. Through the vineyards, you will reach this picturesque village of Champagne wine growers on the southern slopes of the Montagne de Reims. It will be possible to visit several Champaign houses today. 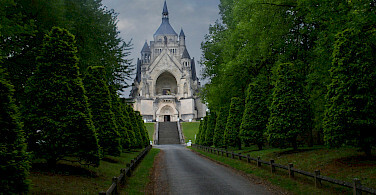 A highlight is a visit of the chapel with the tomb of the monk Dom Pérignon. According to tradition, Dom Pérignon (1638-1715), who was in charge of the wine cellars of the abbey of Benedictine monks, first succeeded in blending various kinds of wine into a wine of superb quality. Double fermentation, characteristic for the making of the most prestigious champagne, was introduced also by him. This day you will cycle along the grand cru terroirs to the heart of the Champagne region, Epernay. In Bisseuil after a cup of coffee, your cycle tour follows a relatively flat terrain until we get to the climb to Avize. The last 500 meters, you will walk to a magnificent viewpoint over the valley. On top of the Hill there is a petanque field where your guide will introduce you to the game of petanque. It is also an excellent place to have lunch while enjoying the view. Cycling back along Cramant and Cuis through the vineyards of Veuve Clicquot and Tattinger, you will have time to visit one or more Champaign houses before we get to Epernay. tasting and tour in a Champagne house on the famous Avenue de Champagne. There is usually a market in the morning a shopping area and plenty of restaurants to have a nice dinner in the evening so you will have no trouble spending the day here. If France isn't your thing, be sure to check out our full like of bike and barge tours or our entire catalogue of bike trips. 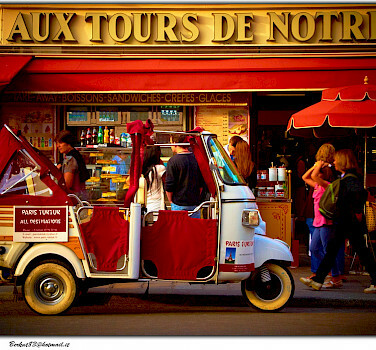 This tour is run by Boat Bike Tours, Cycle Tours, Elodie. Most Memorable Part? Everything! The other cyclists, the barge crew, the food and of course the Champagne was all amazing! One last thing ... TripSite's PDF summarizing the ride, proposing packing lists, giving directions and tips, was excellent. Read more… Congratulations. The guide seemed lost most of the time. He didn't know where to stop for a picnic and one day we ate our lunches at a bus stop. 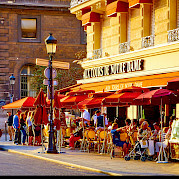 I realize cafes mostly close in France between 12 and 2, but his lack of knowledge of where to find a toilet after lunch was a problem. He chastised us for being slow to re-organize, but then later we'd stop for no reason and wait for up to a half hour with no info from him. He was good at describing architecture. Thank you so much for your comment. We have contacted our local partner and assure you we are working very hard to improve this tour based on your feedback. Thanks again for sharing! Zwaantje France, Netherlands, Belgium Comfort Class Boat The MPS Zwaantje, which means "Little Swaan", is a wonderful comfort plus barge. The boat has 10 cabins with twin beds and 2 cabins with double beds. A nice and cozy salon with heating, air conditioning, large panoramic windows, a restaurant area, lounge corner and a small bar are on the upper deck.